Our deluxe roll up banner is impressive to look at and cost far less than you would imagine. This banner style is most commonly used by larger corporates and 'not for profits' but is affordable for smaller businesses also. The deluxe roll up banner features a stylish, solid base. 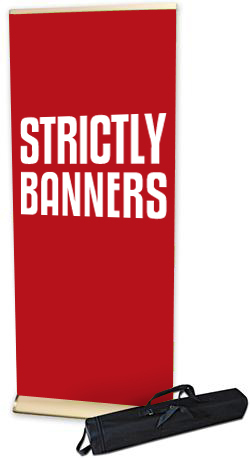 This banner is sometimes referred to as a prestige banner.